LED lighting is getting popular these days. A lot of people have seen tons of benefits once they switched to this type of lighting. If you are still using traditional lights like fluorescent and halogen, it is time to shift to LED. 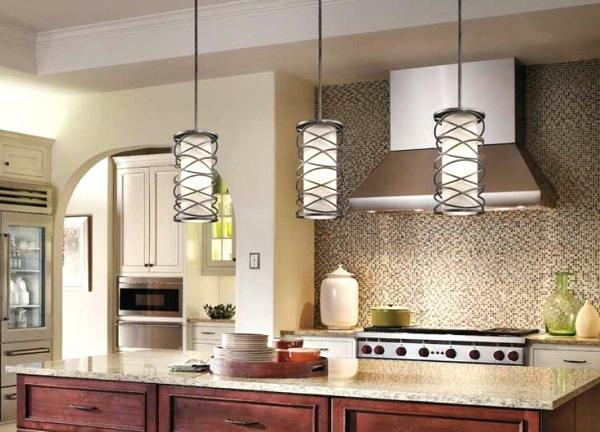 Here are some more surprising benefits that will surely make you forget traditional lighting options. Unlike fluorescent and incandescent bulbs, LEDs don’t get too hot. You can touch them after hours of use and they will still not be as hot as other types of lights. This means there is less risk of accidental fires or skin burns. You will also save more money with LED lights. There is no wonder why museums and art galleries have already started using LED lights, as they need to use such lights for several hours each day and they have to keep the lighting cool. We have all been taught about the harmful effects of UV rays from the sun. The truth is that UV emissions do not just come from the sun. They can come even from the lights used at home. LED lights have little to no UV emissions. It means that they are safer to use. They are also perfect for museums since artwork or exhibits on display are often sensitive to heat. The materials used for the frames, or exhibit cases, are also very sensitive. LED lights are more popular as spotlights. In the past, external reflectors were necessary in order to focus the light on just one object. Light naturally disperses. However, with LED lights, there is higher application efficiency. 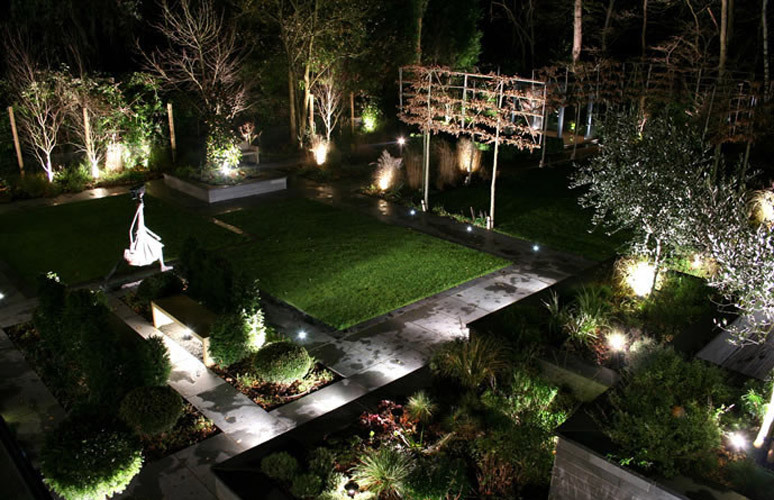 LED lights that are well-designed have a better capacity to deliver a beam of light directly to the desired location. Isn’t it annoying when the lights you use at home start to flicker? It does not just affect your vision, but it is also like being in a horror movie. This can be avoided with the help of LED lights. Fluorescent lights, on the other hand, will not provide optimum illumination until they have been running for a few minutes. These are just some of the many benefits you will get from using LED lights. Whether you are planning to use them at home or for an art gallery, you will never go wrong with LEDs. You can shop for LED lighting solutions in your local stores or just go online and find the best lights from sites like www.downlightsdirect.co.uk. They may be slightly costly compared with traditional lights, but you will still save a lot of money in the long run, as they last longer. Your home is probably your most valuable physical asset. This means you need to do everything in your power to protect it. Part of keeping a home in good condition is knowing about various kinds of necessary inspections. Here’s when and how to conduct a home electrical inspection on your home. 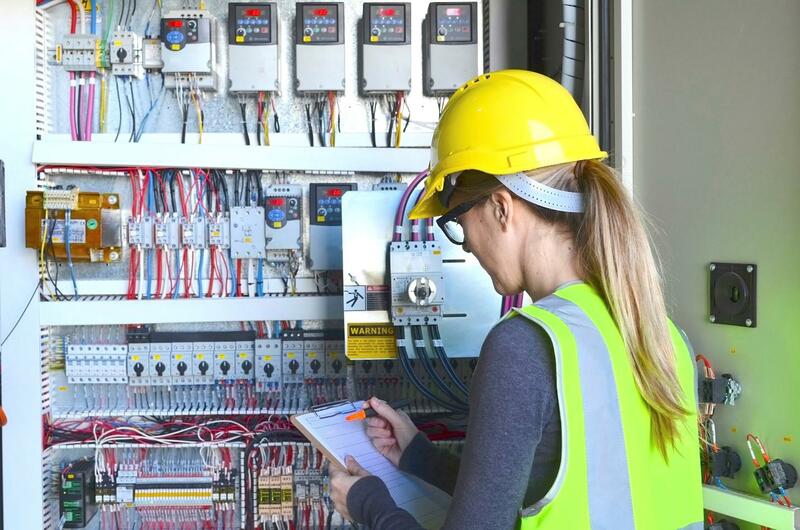 You’re Buying a House: This is the time when you absolutely need to have someone take a look at a home’s electrical system. When purchasing a home, you really have no way of knowing its true history. The previous owners could have had their cousin do some free electrical work. While this could be totally up to code, it could also be dangerous for you and your family. Always make sure to have the electrical system checked before purchasing a house—either during the standard home inspection or later with an electrician. Your Home Is Really Old: Even if you’ve been in the same home for 30 years, it might be a good idea to have someone look at the electrical system. After all, it’s been at least 30 years since the last time someone inspected it. A lot can happen to electrical works over the years. Rodents can be a huge issue for electrical systems in the long term, as they are known to chew on wires. You’re Adding to Your Home: Additions are great for homeowners. However, they can complicate the inner workings of a house. If you’re adding on to your home, make sure that you have an expert double check that the new electrical work matches up with the existing system. Your Power Has Been Acting Up: If you’ve noticed your lights flickering, or any other kind of inconsistencies in your electricity, it’s time to have an electrical inspection. There could very well be a serious issue with your system. Ignoring this is only setting you up for a serious issue down the line. Obviously, it’s important to make sure that your electrical panel and system are in working order. Often times, your homeowners insurance will cover this. Get homeowners insurance quotes online to find a provider that will cover replacement costs for electrical systems, or damage caused by electrical system failure. Check the Service Panel: Your electrical service panel is probably on your home’s exterior, or in the garage or basement. There are a couple things to note here. It’s not a good sign if there is any damage to the service panel, or if there appears to be markings from smoke. Also check if the panel has the older, round fuses, which should be replaced. These are all reasons to call an electrician. Don’t try to fix the panel on your own, as this can be dangerous if done incorrectly. 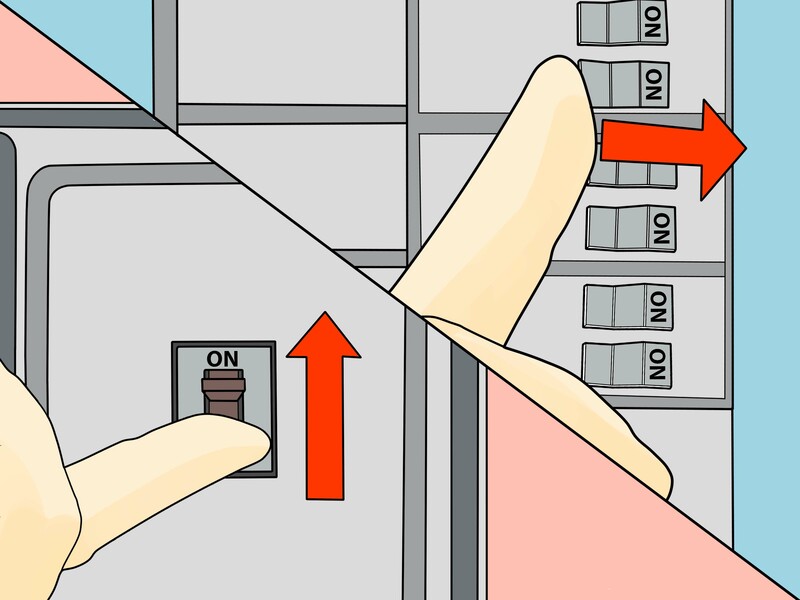 Inspect Outlets: You can also do a few things to see if your home’s outlets are giving any warning signs. They shouldn’t be hot, or show anything that resembles a burn mark. It’s also a concern if you can hear a buzzing noise coming from your outlets. These are all additional reasons to call an electrician. The electrical system is extremely important to the integrity of a home. Don’t make the mistake of thinking you can get by without an electrical inspection. This can come back to haunt you later. With climate change being high on the agenda for Government officials across the world, it’s time that homeowners here in the UK begin to make their homes more efficient to lower their carbon footprint. One of the least efficient rooms in most homes is the garage, and that’s because it is an after-thought of most people because it isn’t always seen as a key area of the home. But a concrete garage can be easily made into an efficient room, which in turn could actually lead people to start saving money on energy bills in the long term. 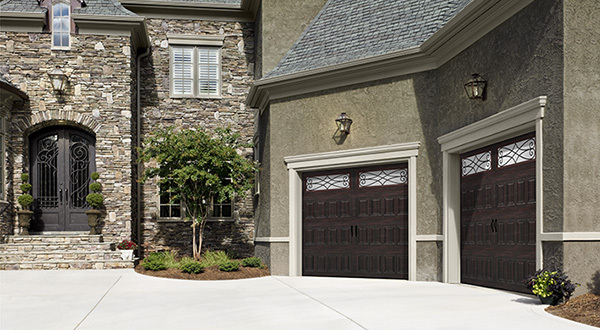 A lot of concrete garages are cold places, particularly in the winter, and that’s because most garage doors, internal doors and windows have gaps that can let in the cold air. One good idea, particularly for an internal door that goes into your garage, is to install weather stripping seals around the door frame. This means that no drafts will enter your home, and it will keep the air in the garage in there. When it concerns your concrete garage door, you can apply insulation to the door through the means of what is known as an insulation kit. These can be picked up at any local DIY store and include a roll of insulation, tape and gloves. This will also prevent leaks into your garage which may come from the increase in rain during the winter months. Meanwhile, if you have a concrete garage that has windows they need to be energy certified to keep out drafts, just like the windows you would install in your home. Generally, a lot of homeowners don’t have windows in their concrete garages, it’s more so if you are looking to convert it. If there is one thing that will keep your concrete garage warm and more efficient it’s insulating the walls and floor. 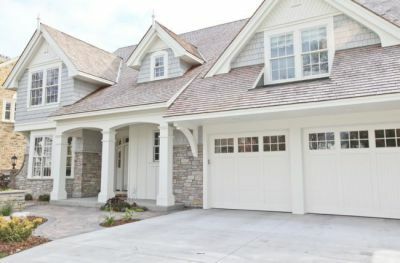 Newer homes will always be insulated, but some garages, including those connected to your home, may not be. To keep your home and garage warm to save on energy bills during the winter, insulate your concrete garage walls by rolling the insulation between joists in the wall. We recommend you speak to a professional before you take on this task, as any errors could lead to you paying more money out in the long run. Similarly to the walls of your garage, you should also look to sealing the edge of your garage flooring, where it meets the walls. You can do this by using a sealant based caulk, which is again available from most DIY stores. By doing this you will prevent any warm air from leaving the garage by falling through the gaps. And whilst you are working on the flooring of your garage, it might be a good idea to start sealing up any cracks in your concrete garage floor, you can use a similar sealant to do this. Climate change is one of the biggest topics of conversation at the moment, with one home improvement contributing positively towards this being the installation of solar panels. This form of energy is becoming more popular with homeowners, and that’s because they can reduce energy bills massively. Using natural sunlight you will be able to light up your home and your garage, and luckily for homeowners, there is some amazing deals on with solar panels at the moment, meaning it might be a real cost-effective solution to reducing your carbon footprint. But if solar panels aren’t for you then you could still also make your concrete garage more efficient by using LED lightbulbs. These will also reduce your energy bills and only use 12 watts of electricity which can actually create a very similar amount of light as a 60 watt bulb so you won’t even notice a difference! It’s so important now that homeowners across the UK and even around the world, start to become more energy efficient to reduce their carbon footprint. By following the above simple steps, your concrete garage could become much more efficient like the rest of your home.